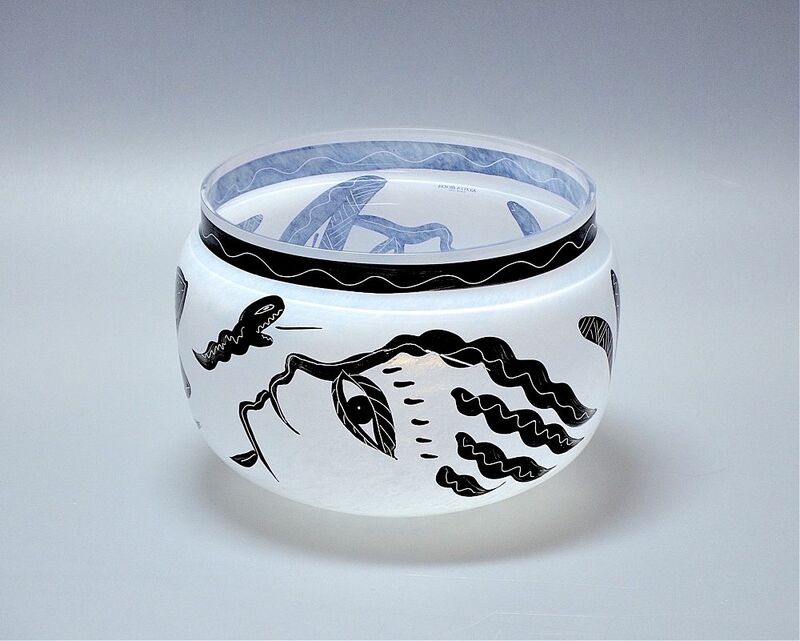 This very striking bowl known as Caramba is by Ulrica Hydman-Vallien for Kosta Boda. It has a white mottled background onto which dramatic black heads of a man & woman, animals & motifs have been directly painted in a primitive style. It has the Kosta Boda studio label and one of the motifs has been signed "Ulrica HV/AL-MM". The base is signed "Kosta Boda Artist Coll Ulrica HV 68733". It is a companied by a small Kosta Boda folding leaflet entitled "Artist Collection" containing a photograph of and brief information about Ulrica Hydman-Vallien's husband Bertil Vallien. Studied at College of Arts, Crafts and Design in Stockholm and thereafter in USA & Mexico. 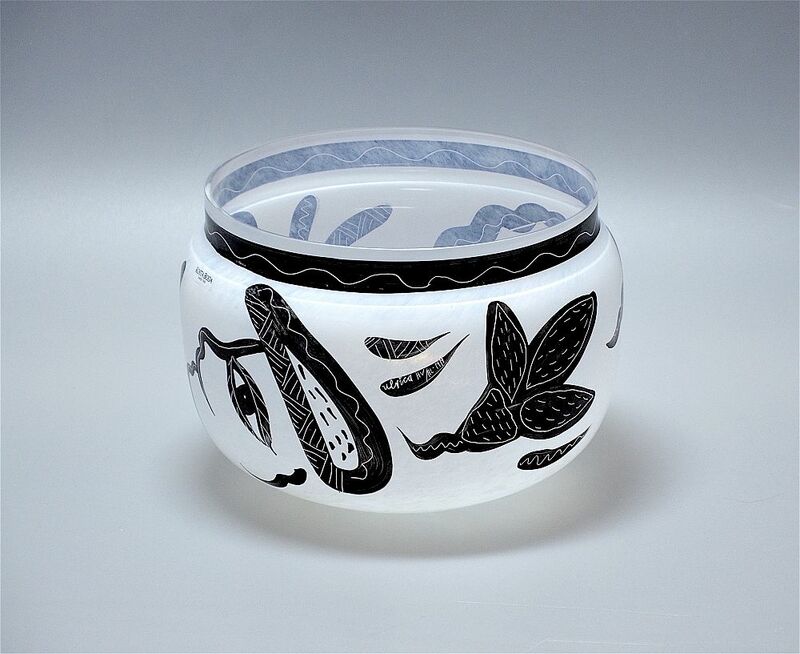 She taught at the Pilchuck Glass School, USA from 1982 to1988, and at Bildwerk, Germany in 1989. Her work has been frequently exhibited and she is represented at the National Museum of Modern Art in Tokyo, the Museum of Modern Art in Stockholm and the Israel Museum in Jerusalem to name but a few.